Growing up in the country, I’ve been accustomed to having fields of green surrounding my home my whole life. The lush, soft, dewy carpet of grass was always familiar to the bare feet of my childhood days. Even the scent of a freshly mowed lawn has a soft spot in my list of favorite smells. So when Jacob, Winston and I moved to the suburbs, it was vital for me to have this same feeling. 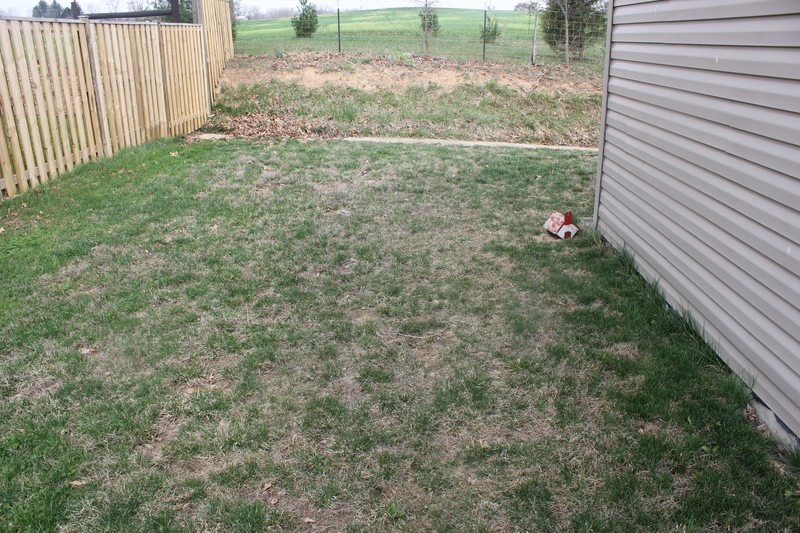 Yet, despite my best wishes, our side and back lawn were not in the best of conditions after this year’s harsh winter. 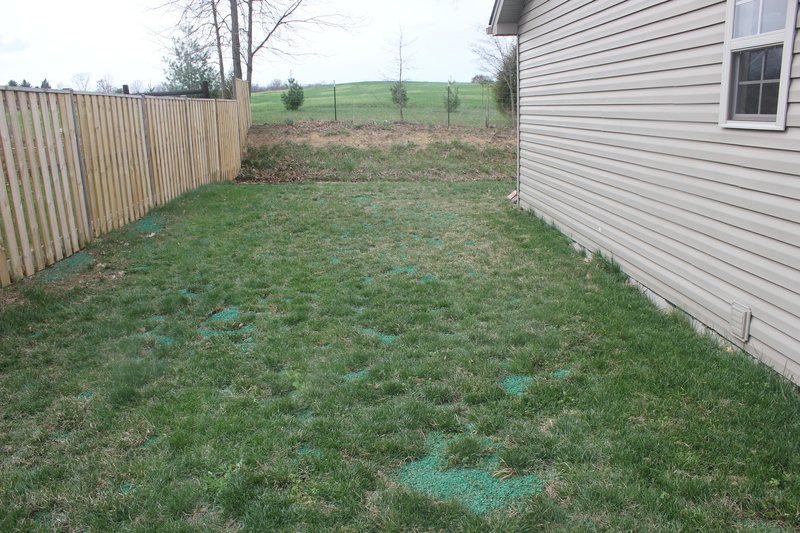 Bald patchy spots were strewn across the yard, and the amount of dead grass was almost horrific. So with a little bit of research, several trips to Lowe’s and a green thumb, I transformed my lawn from a slightly barren wasteland (above top) to a lush lawn of freshly grown grass (above bottom). And here’s how I did it. 1. Cleanup. 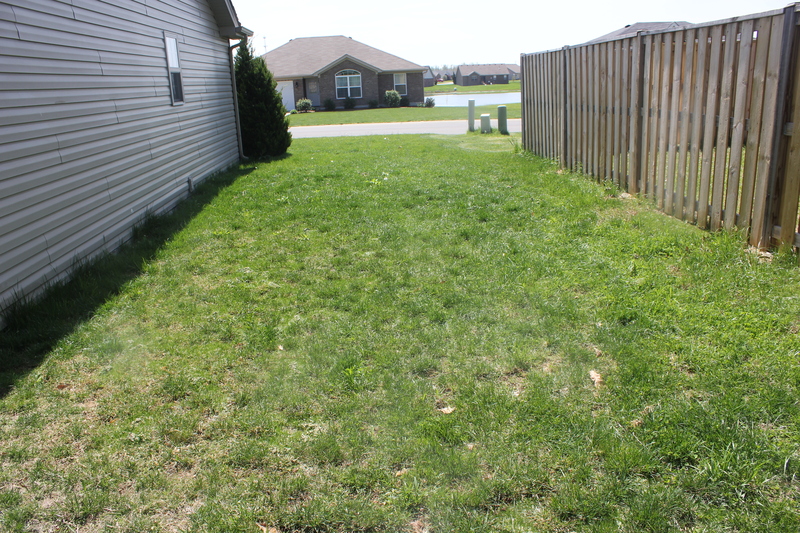 As you can see from the picture to the right, there was much work that needed to be done to get this yard back to normal. 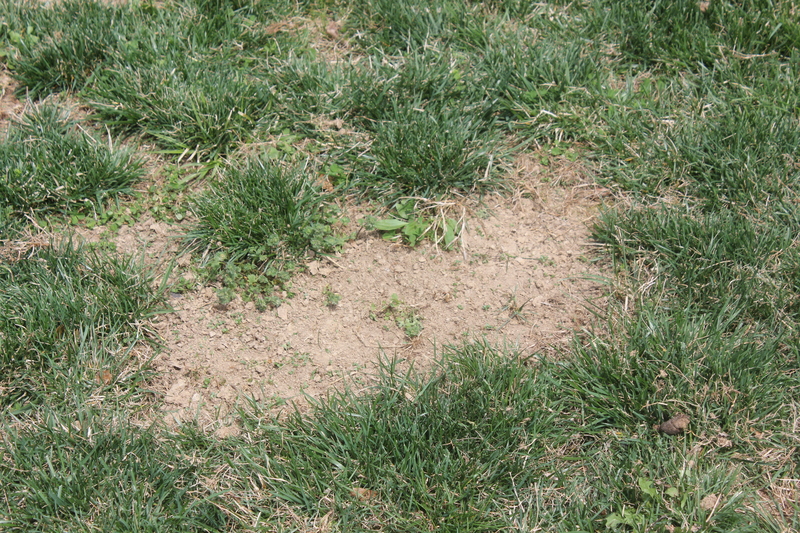 The first thing anyone should do before planting new grass is to clean up the existing dead grass and aerate the soil underneath. It’s important to loosen up the dead grass and expose the existing dirt underneath so the grass seeds have the ability to grow. 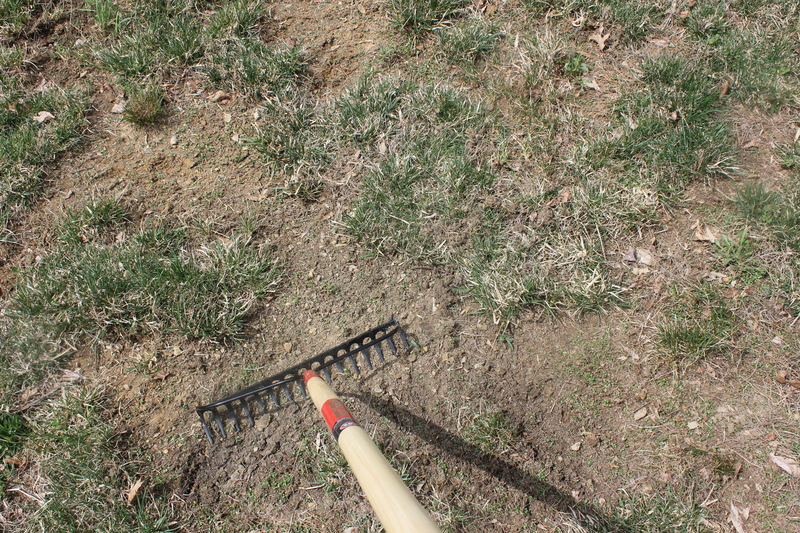 Start by taking a garden rake over the dead grass and begin pulling the blades out. 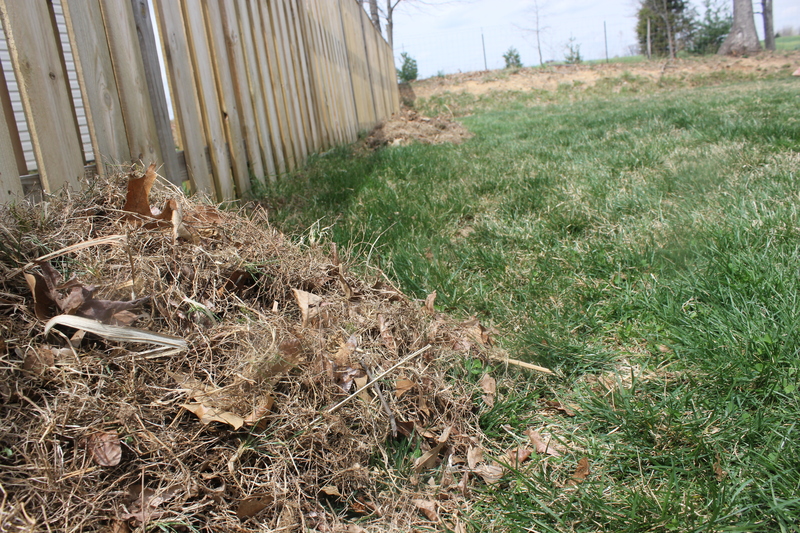 With the amount of dead grass in our yard, I had to start forming large piles of it to keep it separated from the parts of the lawn that were still healthy. 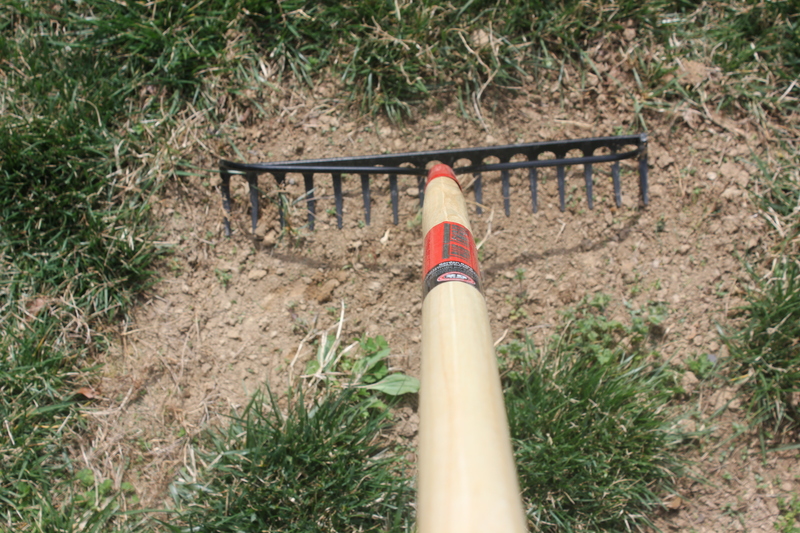 Once you have all the dead grass out of the way, you can start aerating the soil. 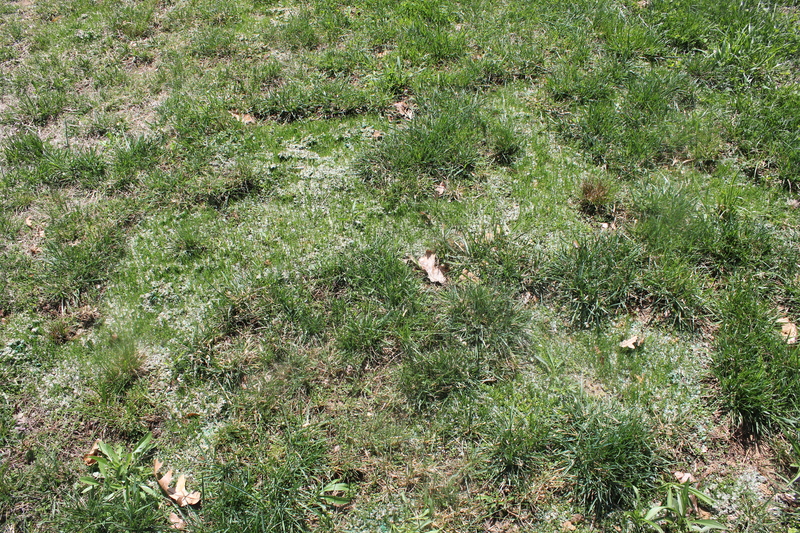 By aerating the soil, it loosens up the dirt and removes any debris that would get in the way of the grass seeds, such as rocks, weeds and leaves. 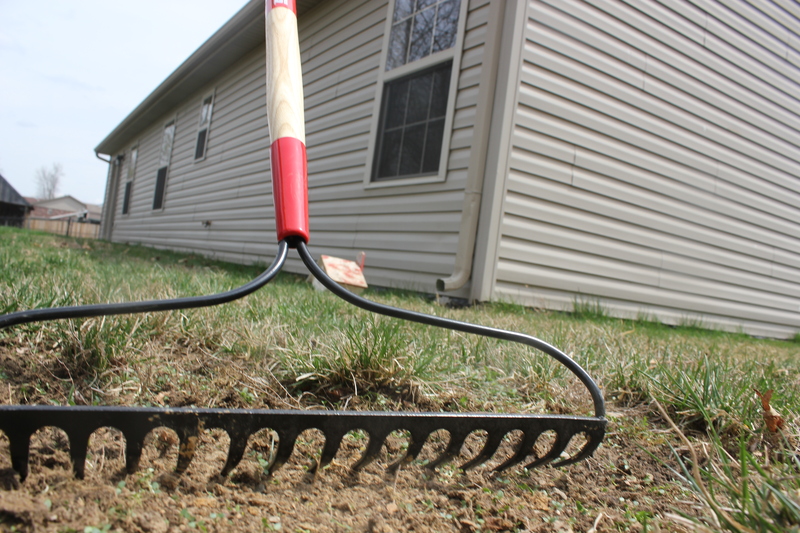 Your yard may start looking like a pile of dirt toward the end, but trust me. 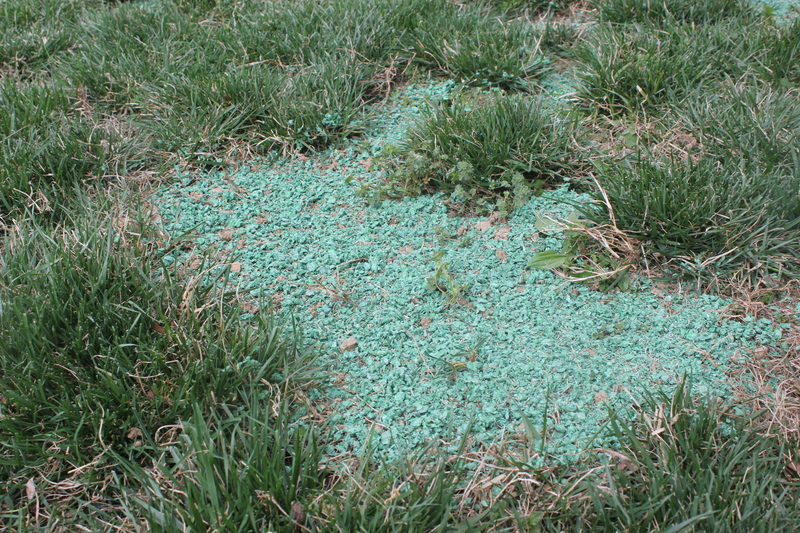 It’s well worth it and — more importantly — necessary to get fresh grass growing. 2. Planting the grass seed. 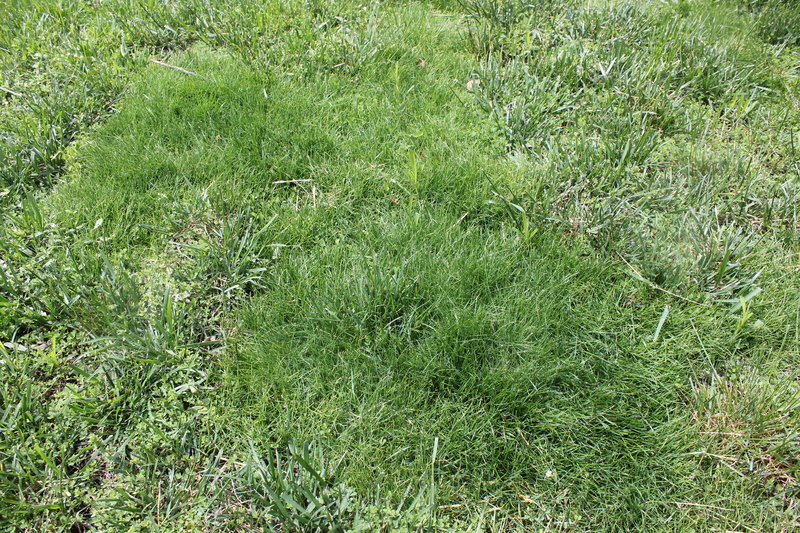 Before I event started laying down new seed, I spent weeks researching which grass to buy and the best method for planting it. At first, I planned on getting Kentucky Blue grass for long luscious grass blades, along with some straw to pack it down. However, when I got to our local Lowe’s store, the attendant showed me something a little bit easier to use: the Pennington 1 Step Sun and Shade Mixture. I was hesitant at first, but I can now say it’s well worth it. 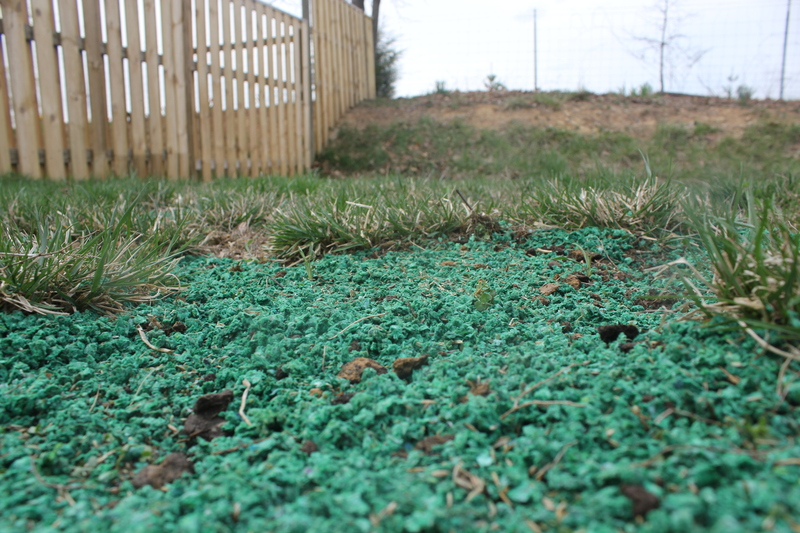 The one step mixture combines fertilizer, mulch and grass seed in an easy way to not only protect the grass but aid in its growth. So with this decided and despite multiple trips back to Lowe’s to buy more bags of grass seed (I under-estimated tremendously), I was ready to plant my grass seed. 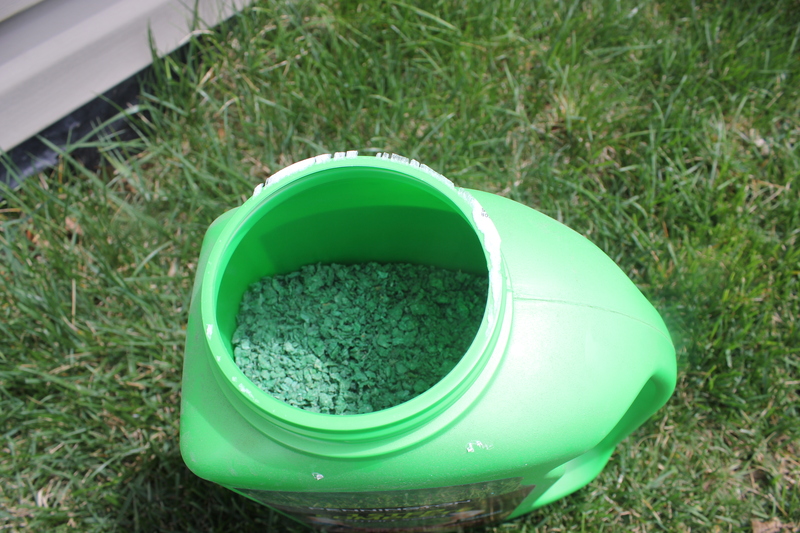 The mixture comes in a dry form and almost blue-green texture. For each bald spot you aerated previously, spread about 1/8 of an inch of the mixture across the area. Since we removed the rocks and leaves, it makes it easier for the mixture to settle into the soil. Make sure you take your time moving from spot to spot until you yard starts looking full of bluish-green oblong polka dots. After all the seed is down, it’s time to water. The first watering you do is essential for the seed to gain much-needed nutrients . Unfortunately, I only had a watering can when I first started this project so I highly recommend having or getting a hose to lightening the load of walking back and forth to the water source. The watering will make the color turn a darker blue, too. 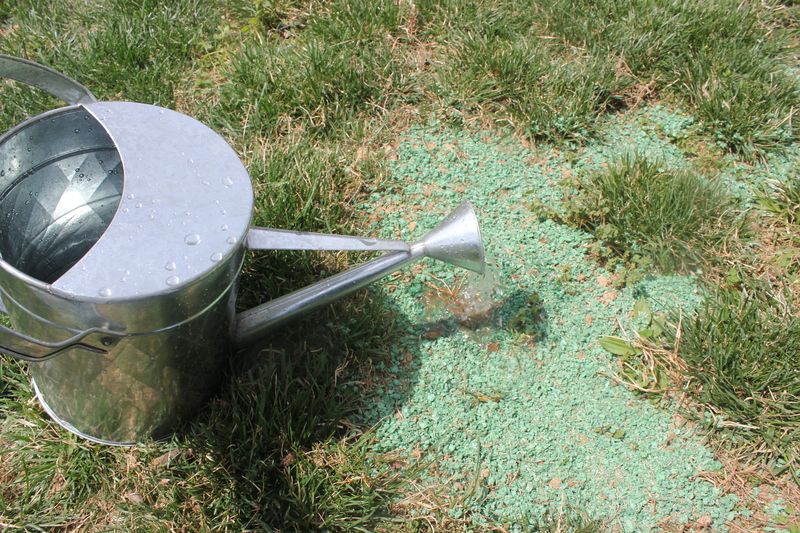 Make sure to water a lot before the grass starts coming through — sometimes up to two times a day if you live in a typical dry area. The important thing is to make sure the texture stays that dark blue color and not turn back into a dried-out look. 3. Patience. It really is a virtue. 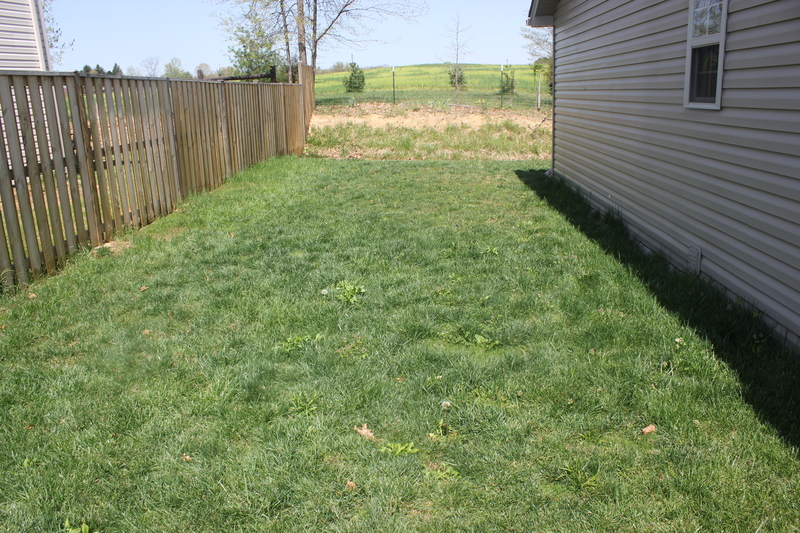 It ended up taking about 30 days before I saw the full result of the grass I planted. After about two weeks, I really started to worry that I had wasted my money’s worth and time getting this stuff in the ground. But then it happened. One day it was wasn’t there and the next it emerged. It felt like waking up on Christmas day and seeing presents under the tree. My baby grass started pushing up and out of the ground all over the place. No matter the amount of work put into it, the reward felt phenomenal. Who knew I could get so excited about new grass? 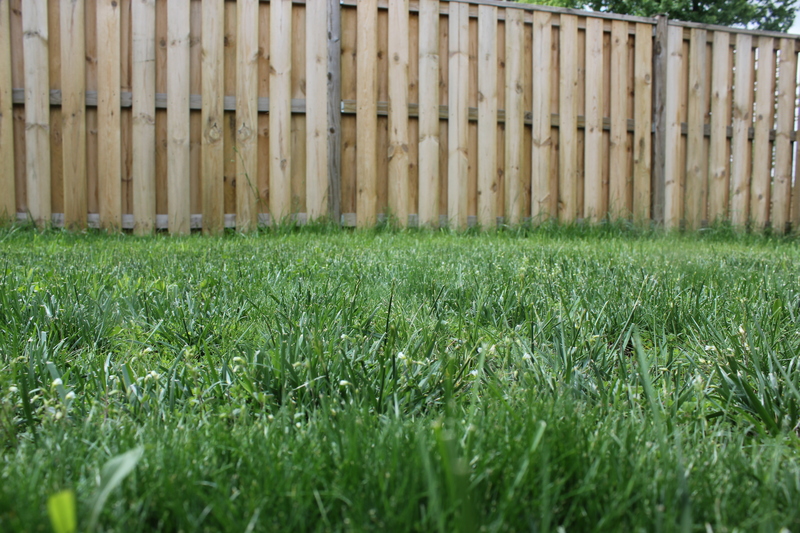 You can probably start watering down to once a day after the blades come through and make sure to refrain from mowing until the grass matures more — about two or three more weeks. 4. The final product. After about a month of maintenance and tending, put away the garden hose and pull out the mower you’ve desperately been needing to use. 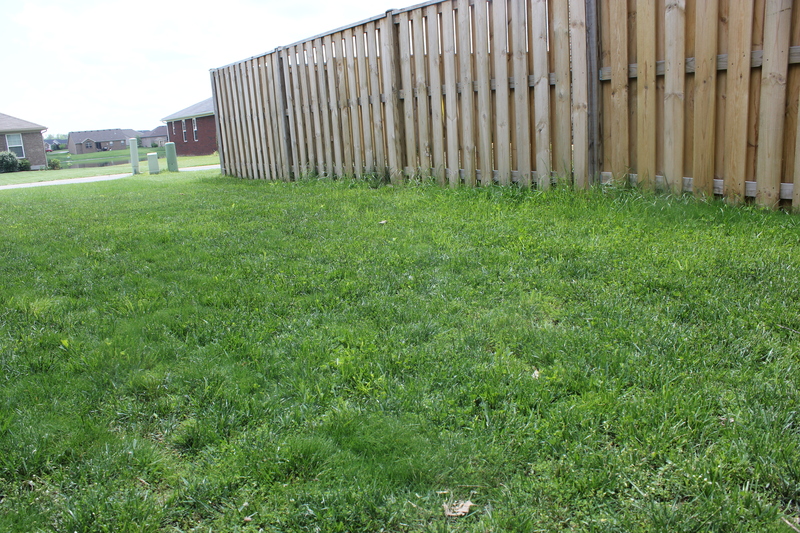 The grass should be fully grown by this point and can sustain its own nutrients without your extra help. It will also be embedded into the ground more so cutting it won’t harm anything. 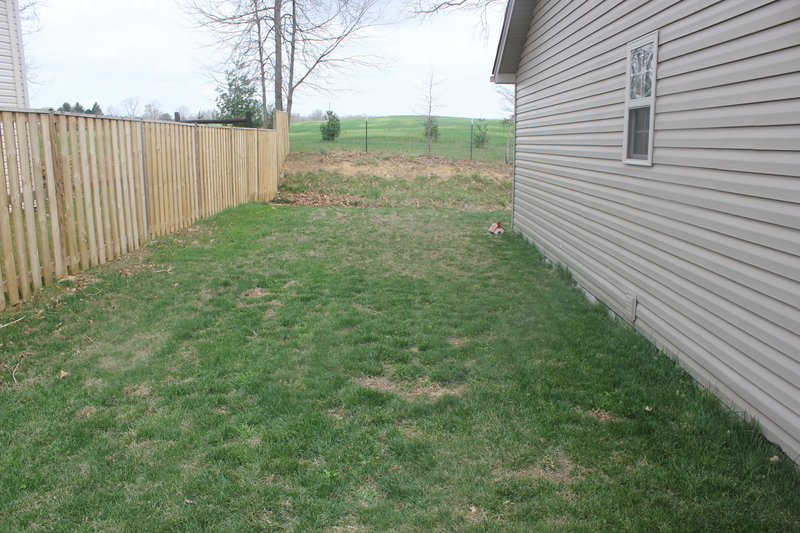 When all is said and done, you should have a beautiful new yard to enjoy for the summer. 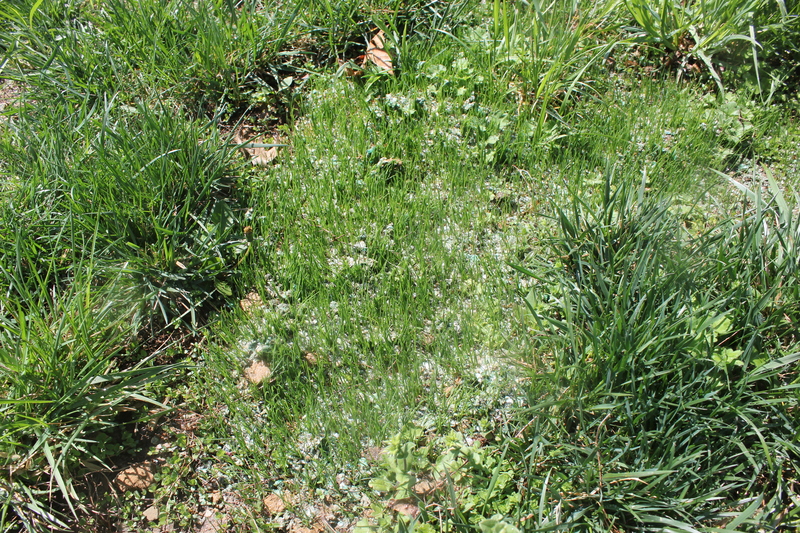 Despite a harsh winter this year, there’s no stopping you from helping your lawn come back to life. The last step you absolutely need to do is pat yourself on the back for a job well done.